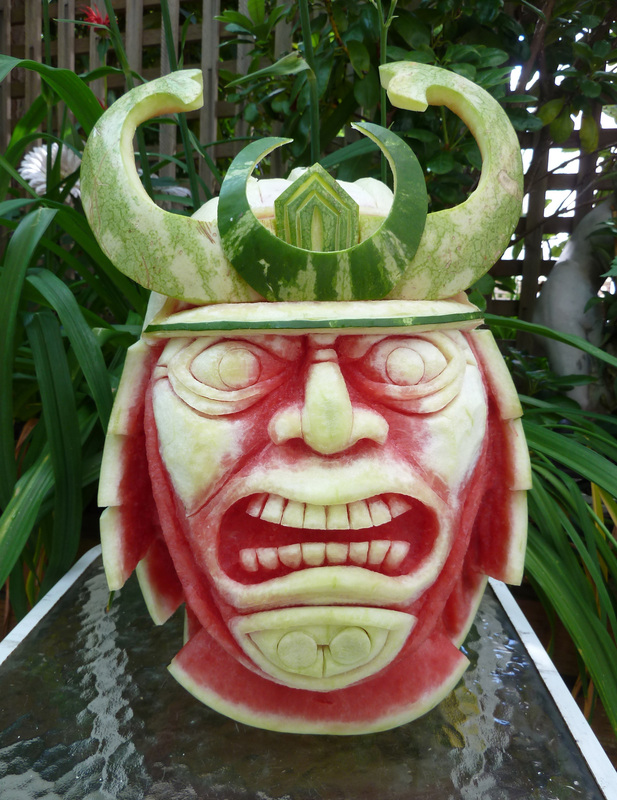 Fruit Carving, also known as Mukimono (Japanese) is often used as a centerpiece at social gatherings. 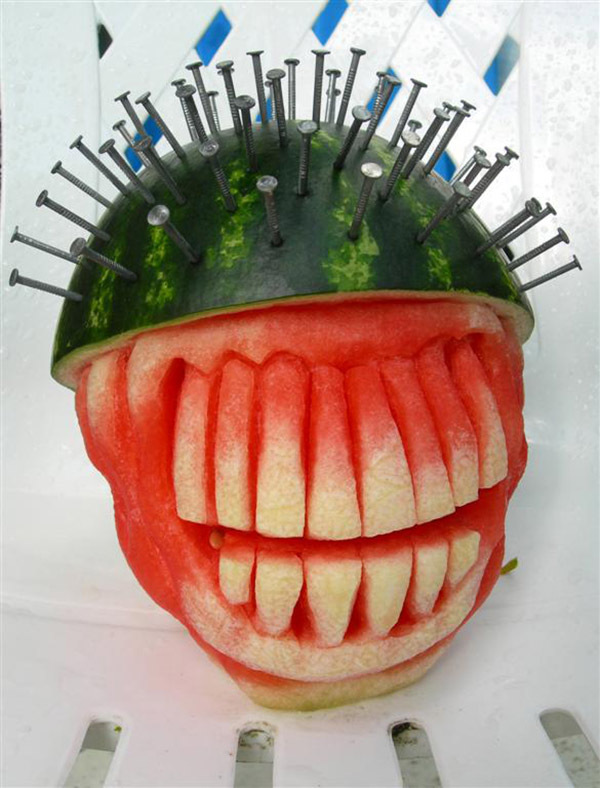 Fruit carving may seem intimidating at first; but, with just a few simple tools, it is easy to create an excellent masterpiece. 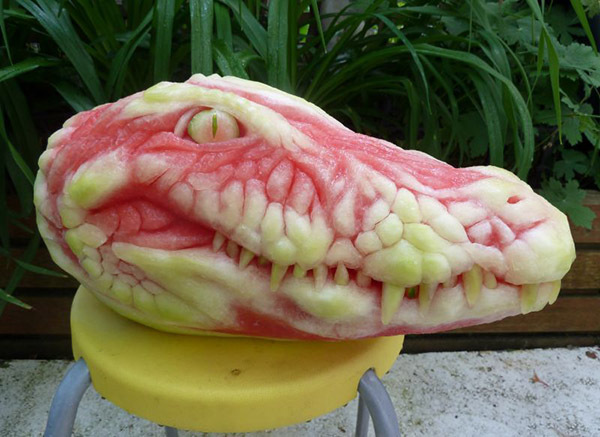 For instance, a watermelon swan makes the perfect centerpiece for an informal soiree or as a buffet table piece for a wedding or cocktail reception. 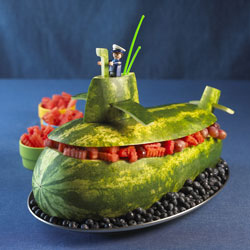 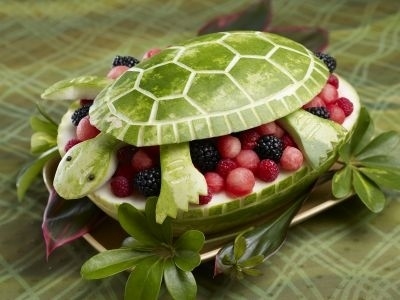 The watermelon swan can be filled with fresh grapes or other fruits, which can be spooned out at leisure. 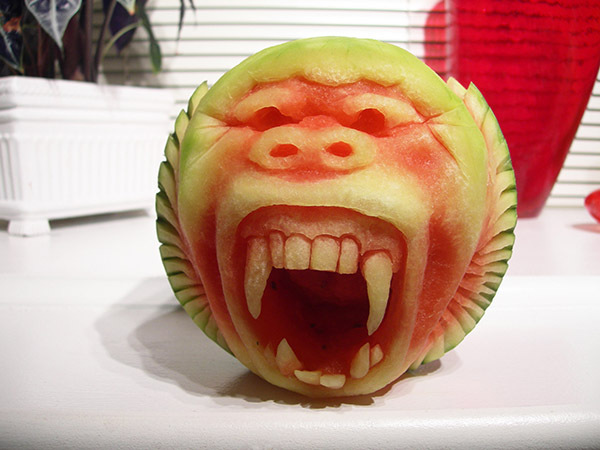 Fruit carving is used by chefs around the globe. 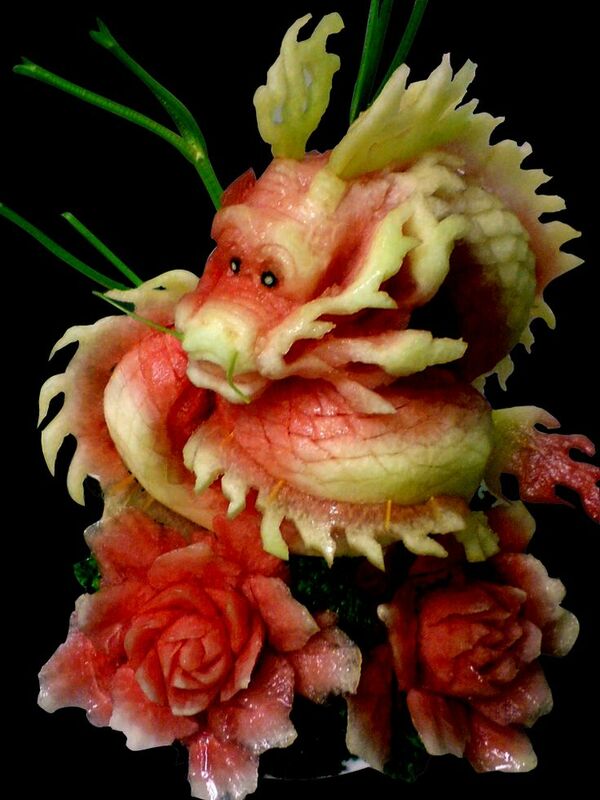 In Thailand and Japan, artfully carved fruits are part of the food presentation. 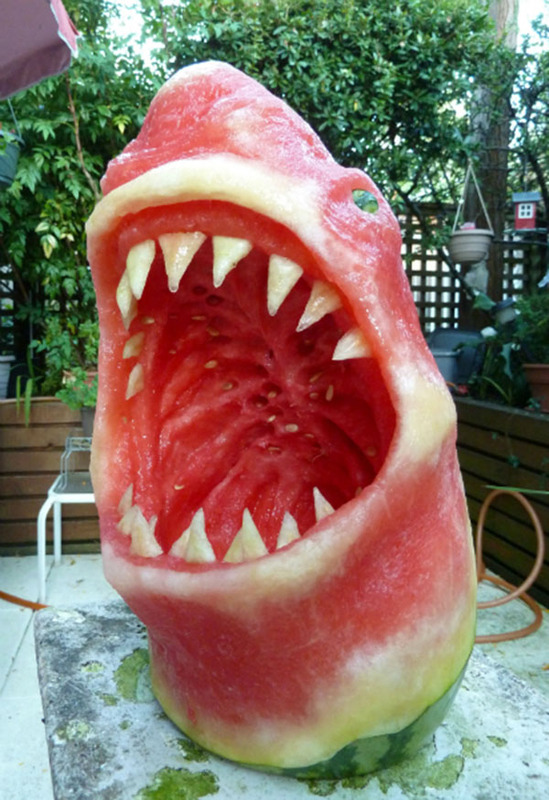 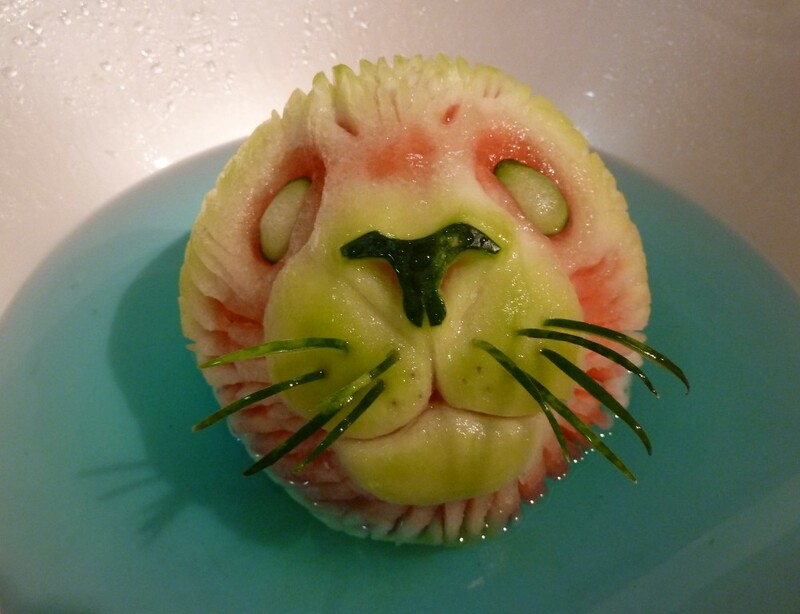 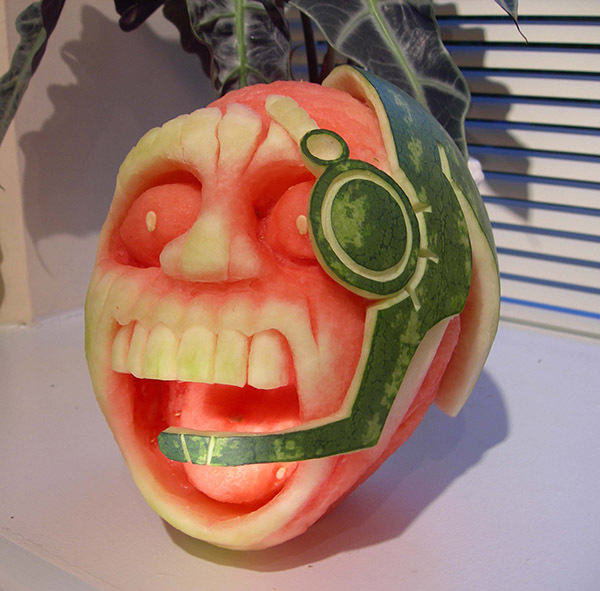 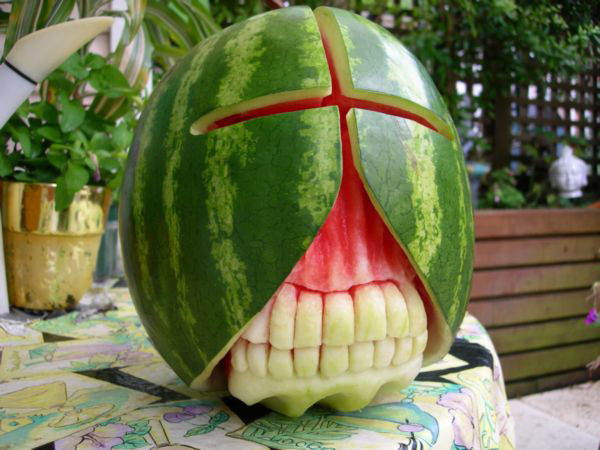 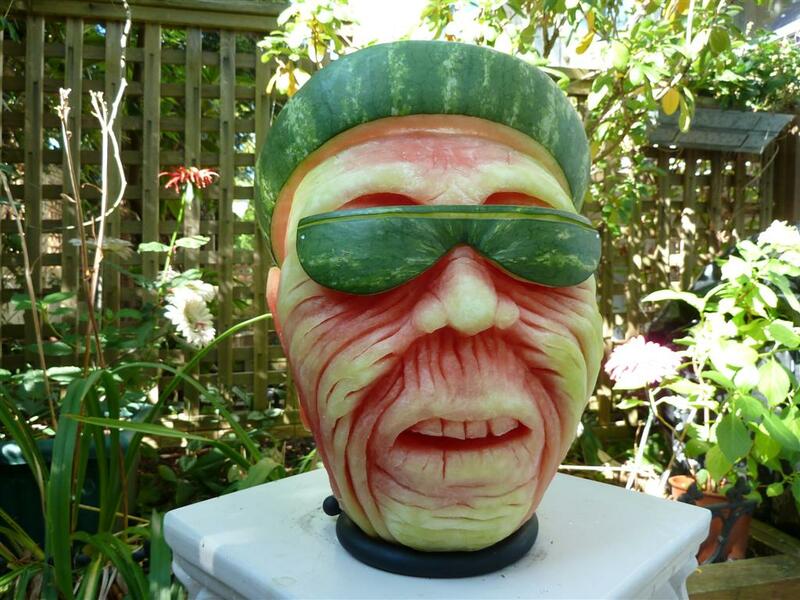 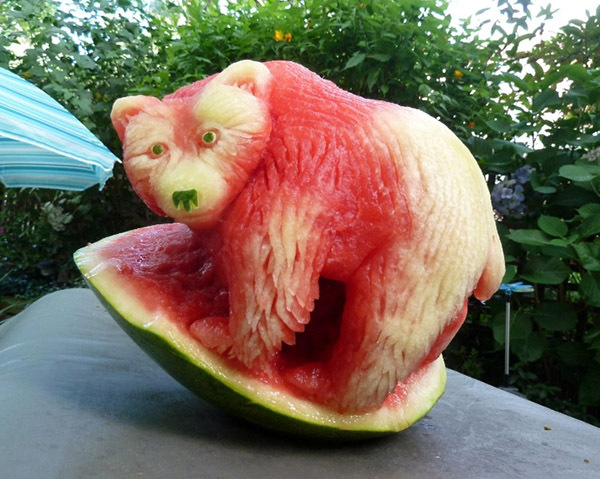 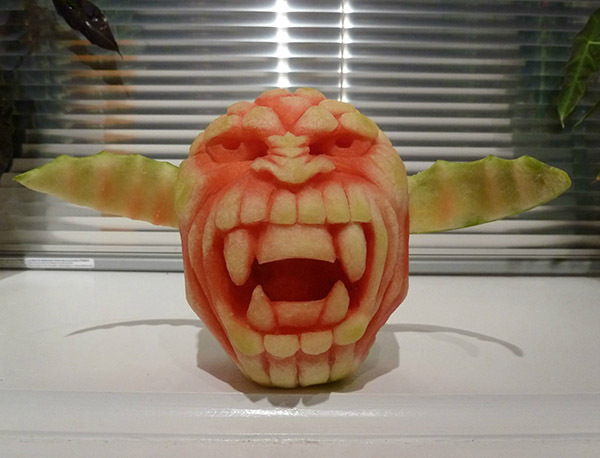 Any solid fruit can be carved into edible art works. 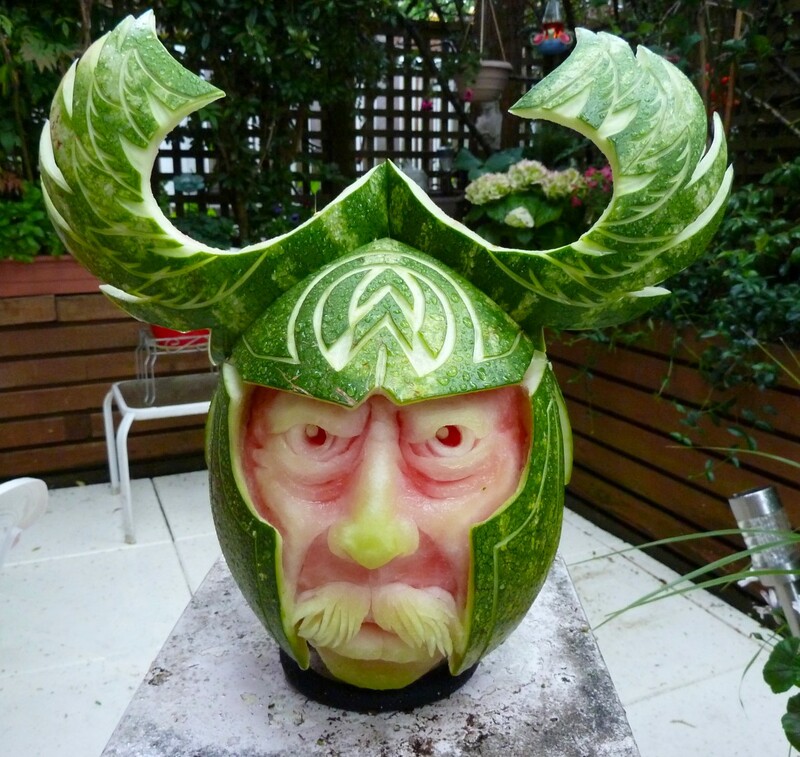 Check out these magnificent carved masterpieces by artists like Clive Cooper.